Nicki Minaj has been reigning as hip-hop’s self proclaimed Queen for about a decade now, and it seems as her grip on that title is slowly slipping. After a four year gap between releases, Minaj returned to music this year with her fourth studio album, Queen. The album was supposed to reestablish Minaj as a force in the ever changing 2018 hip-hop scene, but it was overshadowed on release by Travis Scott’s Astroworld, and Minaj has largely been overshadowed by newer female rappers like Cardi B. The track “Good Form” is the fourth single off Queen and features a guest verse from Lil Wayne. The music video quickly racked up over 34 million views in its first week of release, showing that while her star may be waning, Minaj still has drawing power and an incredible presence. 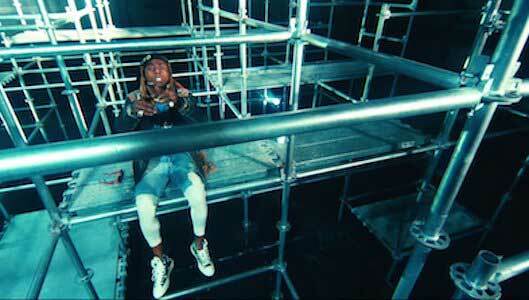 Lil Wayne shows up in this music video wearing black chucks. The song is produced with Nicki Minaj’s typical theatrics. 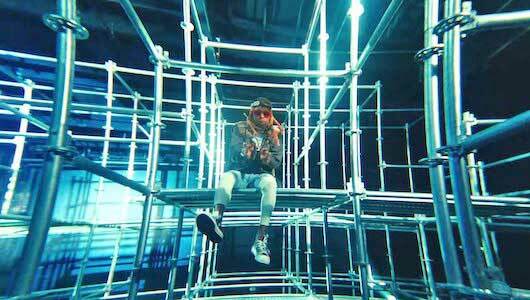 She uses a stylized voice that is higher pitched and more choppy than her normal rapping voice. The song is about how much people are infatuated with all things Nicki Minaj. Her style, her music, everything she does in on the minds of the media and her “haters”. The chorus the takes a turn to how she can get any man she wants, since they all want her. Lil Wayne actually kind of steals Nicki’s thunder on this track, as his one verse is far superior to Nicki’s. All the lyrics are within Minaj’s usual wheelhouse of braggadocious, sexualized rap. When the twerking models leave, Weezy sticks around in his chucks. The music video starts with Minaj pulling up to the set in a new Mercedes, as is tradition in rap videos. She then spends most of the rest of the video dancing amongst a bevy of dancers who share Nicki’s body proportions and fashion sense. This is all about Nicki stunting and showing off, which is pretty on brand for her. Lil Wayne shows up for his verse wearing black chucks and a large fur coat, which both suit him well. This outfit actually does a lot to show the two sides of Weezy’s persona: the extravagant Young Money frontman and the street origins of the kid from Louisiana. Overall, this video features much of the same imagery from most of Minaj’s videos: fancy cars, Nicki drenching herself in a bath of somesort, and dancers that are twerking like there’s no tomorrow. Lil Wayne has good form in these chucks. Use the links below to get yourself a new pair of chucks.